IT MAKES SENSE to start with a record lost and a record gained. On 28 May 2016, in front of 71,000 at the San Siro, Sergio Ramos lifted Real Madrid’s 11th UEFA Champions League trophy in the clubs 114-year history. The triumph extended Real Madrid’s record as the most successful club in the European competition. However, Los Merengues had recently conceded a much older record, one which they’re unlikely ever to reclaim, without even noticing. A month earlier another Spaniard, Madrid-born Ángel Berlanga, lifted the OFC Champions League for Auckland City in front of 1,500 spectators at North Harbour Stadium in New Zealand. It was the Navy Blue’s eighth Oceania title – remarkable considering the club was only formed in 2004. In doing so they became the first team to win a continental club competition six years in a row, having taken the title every year since 2011. That record, until then, was held by the legendary 1950’s Real Madrid side of Ferenc Puskás, Alfredo Di Stéfano and Paco Gento. Winning the OFC Champions League brings a similar reward to winning the UEFA Champions League, in that the club automatically qualify for that years’ Club World Cup. The Club World Cup is a strange animal. It is supposedly FIFA’s pinnacle club football tournament, although its initial introduction as the Club World Championship in 2000 became memorable for the tournament that Manchester United abandoned the FA Cup for. It’s unloved by supporters of the elite clubs, a distraction from their domestic leagues or continental competitions. But for Auckland City, it’s their yearly attempt at a giant-killing. Since 2005 it has been played in a knockout tournament format, with seedings for clubs from larger confederations like Europe and South America which automatically place them in semi-final berths. The Oceania Football Confederation, however, has the longest path to the final of all. In part, it makes perfect sense. The OFC is undoubtedly FIFA’s poorest relation. It has no automatic qualifying spot for the FIFA World Cup, being made to playoff against a runner-up from another confederation. This has only twice led to an OFC team reaching the World Cup – Australia in 2005 and New Zealand in 2009. 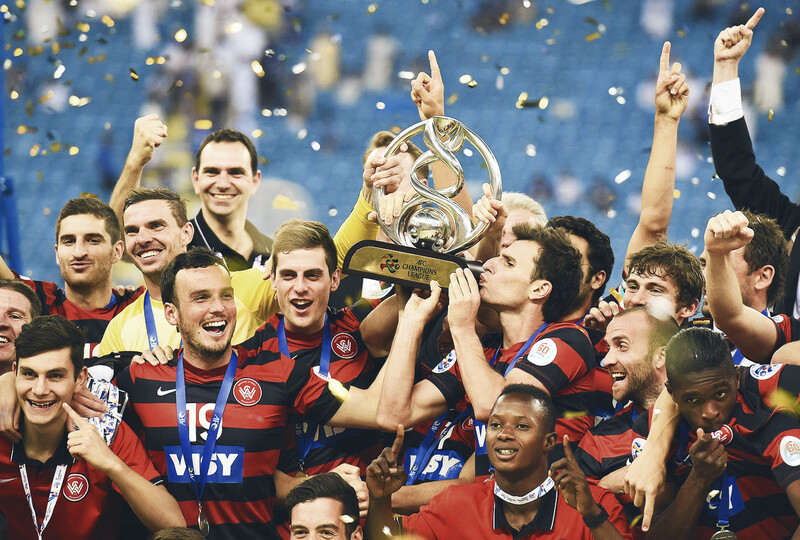 It was this, in particular, which hastened Australia’s move into the Asian Football Confederation in January 2006. This had a major impact on the OFC as it meant that within the member leagues of the entire confederation, there were no professional football clubs. Wellington Phoenix may play their home games in New Zealand, but they are officially classed as an AFC club and yet are also barred from entering the AFC Champions League. FIFA had a problem. 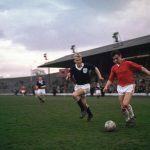 Their premier club tournament, which saw the likes of Internacional, Barcelona and Manchester United appear regularly, would have to accept an amateur team. They were also having to contend with the Club World Cup failing to capture the attention of its host nations. Since 2005 the tournament has only been hosted in three countries: Japan, UAE and Morocco. To solve both problems the OFC Champions League winner would play-off against that years’ champions of the host nation. So, before they even faced another confederation’s Champions League winner, they had to overcome a team with home advantage. Auckland City’s 2006 appearance at the Club World Cup, before the playoff rule was introduced, saw them lose their first knockout game 2-0 to CAF Champions League winners, Egypt’s Al Ahly, and go down 3-0 to AFC Champions League winners, South Korean Jeonbuk Hyundai Motors in the fifth-place playoff. The Navy Blues wouldn’t return to the competition until 2009. In the meantime, Waitakere United, another New Zealand team, became the first non-Australian club to score a goal at the 2008 tournament, played in Japan, with Welshman Paul Seaman scoring the opener against Adelaide United before succumbing to a 2-1 loss. Another OFC Champions League title in 2009 saw Auckland head to the UAE. The New Zealanders had been boosted by the return of Ivan Vicelich from playing in the Netherlands. The versatile defensive midfielder captained the side to a 2-0 win over UAE Champions Al Ahli, the pick of the goals coming from New Zealander Chad Coombes who belted in a 30-yard screamer. In their way were the CONCACAF Champions League winners, Atlante of Mexico. The gulf in class was too much and, on the end of a 3-0 scoreline, they were sent into the fifth-place playoff against the winners of the 2009 CAF Champions League, Congolese team T.P Mazembe. Ranking playoff matches tend to be dire, forgettable experiences. Both sides have half an eye on returning home and there’s little at stake. For Auckland City, every game at the Club World Cup was an opportunity for the relatively young squad to demonstrate their talents. They weren’t without fortune either, a red card issued to Kidibia on 24 minutes after Dan Koprivic was brought down. Against 10 men, Jason Hayne scored the opener, only for a long-range screamer and a well finished passing move put the Congolese side 2-1 up. Hayne scored again, latching onto a clearance and rifling it into the top corner. On the bench, defender Riki Van Steeden was contemplating retirement. He was 33 and had won five All Whites caps in the late-1990s. This was his second Club World Cup with City, and likely his last. Posa put him on just after Hayne scored the equaliser, to keep things tight in the closing 15 minutes. With 92 minutes on the clock. City’s Sam Campbell intercepts the ball on the edge of his area. He drifts the ball out to forward Grant Young, who has dropped deep. He turns, waits, and slides it through to Chad Coombes on the overlap. On the edge of the box arrives Van Steeden; the ball is placed at his feet and he produces a first-time finish from 14 yards. The retirement is postponed. Goalkeeper Paul Gothard is pictured hammering the floor with joy, unable to stand up with overwhelming delight. Fifth place was good but could they repeat it the following year? As it happens, they couldn’t. City didn’t win another Club World Cup game for five years. That isn’t to say there wasn’t improvement. New manager Ramon Tribulietx oversaw a decreasing deficit as they faced off against Kashiwa Reysol in 2011 (0-2) and Sanfrecce Hiroshima in 2012 (0-1). Each year that passed, their professional opponents scored later in the game – a testament to the tactical tweaks of their new coach. Five years, but it could have been four. Falling behind to an early goal against Moroccan champions Raja Casablanca, City regrouped and equalised through future A-League star Roy Krishna. Make no mistake, the home side enjoyed the majority of possession, but it took until the 92nd minute for them to advance to the quarter-finals and eventually face Pep Guardiola’s Bayern Munich in the final. But the young side from New Zealand, guided by the leadership of Vicelich, had gone the 90. And the following year they would return to Morocco and write a fairytale. Their opening game against Moghreb Tetouan was a tense affair with both sides guilty of wasting their chances. The home crowd support spurred on the Moroccan champions, but despite introducing an extra attacking midfielder, they couldn’t break down a determined Navy Blues side. In extra-time, the red and white striped shirts poured towards the City goal but to no avail. Penalties. Nineteen-year-old Tim Payne steps up and scores, his shot squirming under Lyoufsi. Green laser pen flashes strobe over City ‘keeper – and Calvin Klein model – Tamati Williams’ face. He guesses correctly, though, diving to his right and getting both hands behind the ball, scooping it away. Each of City’s first three penalties are tucked away. Tetouan are faultless after the first. Mario Bilen for City steps up, but his attempt to place the ball lacks power and in a carbon copy of Williams’ save, Lyoufsi pushes it away. All square. The stadium roars its approval. Williams gets a hand to the next one, but can’t prevent it rippling the net. Sanni Issa, who joined the club a few weeks before, is City’s final penalty taker. He puts hearts in mouths by attempting a powerful Panenka, which looks like it’s heading over as the ‘keeper sprawled wrong-footed, before dipping into the goal. Suddenly the balance had shifted. Mehdi Khallati had to score, in front of a partisan home crowd. The pressure of the moment was too much for him, and his penalty struck the right-hand upright before bouncing clear. City, with a team consisting of paint salesmen, students, personal trainers, food delivery truck drivers and window cleaners, had made it to the quarter-finals. One of the results of their victory were hurried phone calls back to New Zealand by the players, asking various employers to extend their leave by a few days. The club had also booked flights home, and had to reschedule them until after the quarters. Their opponents were the winners of the CAF Champions League, Algeria’s ES Sétif. To say that there is little love lost between Morocco and Algeria is to avoid an antipathy that makes even the fiercest derby seem like tea and cakes. City, having eliminated the local favourites, were adopted by the home crowd for their next game – scheduled just three days later. Sétif enjoyed the majority of the possession, but the best chances fell to Auckland City. Ryan De Vries’ shot beat the keeper but rolled wide of the post. Berlanga clipped the post with a tight angle shot. With the match scoreless heading into the final half hour, the breakthrough came from an unlikely source. Auckland City’s have a team made up of players from around the world, for whom a professional career never quite materialised. John Irving had joined the club from Welsh Premier League’s Bala Town, after coming through the Everton youth system. A corner was flicked on by Ryan De Vries, arriving at Irving’s feet on the edge of the box. He is off balance, which helps as a defender rushes towards him. He steadies, rolls his foot over the ball and strikes. On the sidelines, Tribulietx tears out of his technical area, furiously pumping his fists before being swamped by substitutes. Having kept the Algerians scoreless, the man of the match award would go to the young defender as he decided the game and sent Auckland City into the semi-finals. More phone calls home. More rescheduled flights. Their opponents were Copa Libertadores winners San Lorenzo, themselves first-time winners of their continental trophy. Up ahead in the final lurked Cristiano Ronaldo’s Real Madrid. This was City’s third game in seven days, a measure of how the schedule didn’t cater for the amateur team from the OFC actually getting anywhere in the tournament. San Lorenzo, by comparison, were playing their first game of the tournament. The Argentines scored at the end of the first half as they caught a retreating, tiring City defence out, Pablo Barrientos placing his shot just inside the near post. Their lead could have doubled early in the second half when Martín Cauteruccio got clear of John Irving, only for Tamati Williams to comfortably take his tame shot. Fired up at facing a team from his home country, City’s Argentine striker Emiliano Tade played in young New Zealander Ryan De Vries only for him to be called offside. Minutes later, though, there was no flag. De Vries sped onto the ball, only for San Lorenzo keeper Sebastián Torrico to clean him out. The ball broke free and galloping in from right-back, almost on the touchline as he reached the ball, was Berlanga who celebrated his acute strike by bracing for impact against the electronic hoardings. City could have won it. Tade was in on goal later but a wicked bobble saw the ball skew wide of the post. But the game went the full 90 and into extra time. In the 93rd minute, San Lorenzo scored what would prove to be the winner, despite City striking the post in the dying moments. The South Americans would face Real Madrid in the final, but City weren’t going home just yet. Having defeated the champions of Morocco, the African Champions League winners and taken the Copa Libertadores winners to extra time, there was the third-place playoff match against CONCACAF Champions League winners Cruz Azul. City took the lead through Ryan De Vries but the Mexicans equalised through a well-taken goal. The game itself was played immediately before the Real Madrid-San Lorenzo tie, so when the scores remained level at 90 minutes the game went to penalties. The shoot-out encapsulates the huge gulf between the teams that City had overcome, not just in this game but in the three previous matches. Both sides score their first penalty; 33-year-old journeyman Christian Giménez for Cruz Azul 19-year-old old Tim Payne for Auckland City. Former Blackburn Rovers midfielder Mauro Formica misses and so does the hero of the Sétif game, John Irving, putting his attempt onto the crossbar. Hundred-cap Mexican international Francisco Rodríguez scores. Paint salesman Darren White does as well. Ismael Valadéz’s shot is saved by lawyer, Jacob Spoonley. Window-cleaner and ex-pro James Pritchett does not miss. It came down to Sanni Issa – again. The 23-year-old Nigerian stepped up and slammed home an emphatic penalty, ensuring that Auckland City, a team that play in a 3,500 capacity public park in an amateur league, were, by FIFA’s competition rules, the third best club in the world in 2014. One of the rewards for their remarkable cup run was the prize money. As a franchised club of New Zealand Football, Auckland City’s $3.27 million NZD winnings were split. Fifty percent was redistributed to the other clubs in the New Zealand Football Championship, while the remainder went to City. A team of amateur players had faced off against the winners of each confederation’s Champions Leagues and hadn’t lost a game inside 90 minutes. Not bad from a country that prefers it’s ball to be egg-shaped. 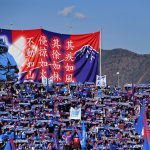 This year they return to Japan once more to try and beat the odds, playing the J League champions, Kashima Antlers, on 8 December. Maybe the team from Kiwitea Street can begin another astonishing cup run.